The Cabela hunting franchise has long provided quick pick up and play titles for the (admittedly few) gamers who want to stalk virtual game. Aside from the good old U.S.A, hunting isn't a very popular past-time, so it is somewhat surprising when The Hunter: Call of the Wild has now arrived to provide a deeper, more realistic hunting experience - and at the same time a far less accessible one. After choosing to visit either a North American or German hunting reserve, you are free to explore the massive open-world woodlands, to find some suitable targets. You must use a full array of real-world tools and techniques in order to succeed. You only start off with a basic rifle, but eventually mating call whistles, scent lures and even bows and arrows could be at your disposal. A lot of these are sadly hidden behind a very slow and tedious XP progression system. It takes an inordinate length of time to build up enough kills to acquire the experience points and cash needed to unlock and purchase the full array of new tools and weapons. This only makes it harder to kill your targets, as you won't get the most effective bullets, the best magnification scopes or other such tools until you have pumped a lot of time into the game already. To find your prey - which could be Coyotes, Moose, Bears or several other woodland creatures - you will have to be very observant. Tracking animal footprints in the mud, locating droppings (surprising how much can be gleaned from animal poop) and listening out for animal calls, will help you to pinpoint their location. However, you will have to be very careful of making too much noise by moving too fast and startling them, and plan a route of attack whereby your scent can't be picked up. All of these factors mean that everything in The Hunter: Call of the Wild needs to be carried out very slowly and patiently. And just saying "patiently" is being more than a little generous - you need to be excessively patient in order to get anywhere in the game. Despite all of this, you will definitely feel the excitement and rush of blood when an animal enters your cross-hairs, and even more so when you are treated to the kill screen, complete with an X-Ray to show just how your shots took down the mighty beast. But this happens all too infrequently - as even if you do manage to shoot one of the animals, it is often hard to track the blood trails to harvest the body, or you may have only managed a slight flesh wound and your prey still has enough in them to simply run away and escape. On top of this, the story missions are paper-thin and the multiplayer mode is pretty basic and light on features. You will simply find yourself slowly crawling through undergrowth, following poop trails for the majority of your time in-game. 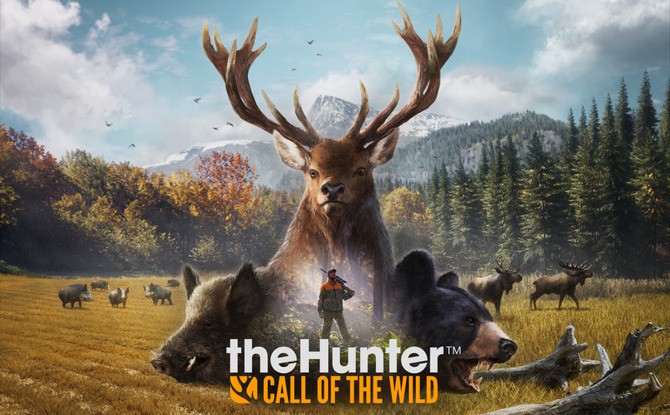 Unless you are incredibly patient, your lust for killing defenseless creatures isn't likely to be satisfied by The Hunter: Call of the Wild.